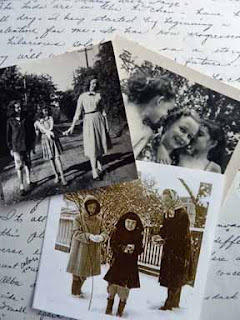 When I was a child my two sisters and I were always writing, illustrating our stories, putting on plays or dreaming up some other creative project. We (mostly) worked very well together. One spring afternoon we sat at the kitchen table discussing our latest project (this time a science fiction novel called The Blue Sun). My mother, who was in an adjoining room, couldn’t resist quickly writing down our bursts of ‘brilliant’ inspiration. I wish she had done so more often. Her account is hilarious—and we have a record of our collaborative style. And in just a few telling words she captured the personalities of our 7, 9 and 15-year-old selves. 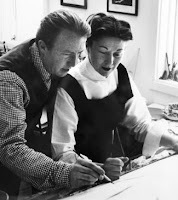 My mother was a fashion artist and painter. She also made wonderful stuffed animals, including a 1” tall teddy bear. I became a ‘designer’ at 7 when I drew a picture of mouse and asked her to make me a stuffed version. She re-created it exactly, down to its over-long eyelashes. My family includes artists in many fields, and we have talked of having a ‘compound’ of houses where we could live close by and work together and inspire one another. Or have a shared studio (in a barn, perhaps? )—our own Omega Workshop or Bloomsbury Group! These thoughts have all returned—and inspired these three blog posts—after seeing again the wonderful John Frame exhibit at the Huntington – alas, now closed. A brilliant and visionary wood sculptor (his work is indescribable—check out his website). Though he is the creator of his amazing pieces, he has been aided by his family’s many talents—photography, filmmaking, sewing skills—which played a part in his exhibit and his artistic projects. Frame also curated a show at the Huntington on William Blake; in the exhibit notes he wrote of the artistic assistance of Blake's wife in his work. My sister and I are planning to write a mystery together. We often exchange wild and fanciful project ideas-- some of which might actually be do-able! She has been an invaluable critic, editor and technical advisor for my writing/illustrating work—and my blogging! All three of us still want to collaborate--maybe one day we will yet have our ‘barn’! I’ve long been fascinated by authors’ and illustrators’ methods of collaborating on their books. I’ve heard of writers taking turns writing alternate chapters of a manuscript and wondered how it would be possible to keep it cohesive and smoothly moving forward. I find it very intriguing though and would love to read such a novel or even try one myself! For 50 years the Dillons—illustrators Leo and Diane—created their delightful illustrations, passing their work back and forth, each adding what they thought would improve the work until it was not possible to identify who did what in any given illustration. They have referred to the creator of their artwork as the “3rd artist”—the combination of both their talents and work. William Morris and his family and friends are famed for their collaborative efforts. Early in his career the artist, writer and designer joined with other artists to form their own company of designers and decorators. I find the range of their talents and accomplishments amazing. I once saw an exciting exhibit on the Bloomsbury group of writers, artists and thinkers at the Huntington Library. I was so captivated not only by their work but their creative relationships with each other that I returned again and again to the exhibit. Virginia Woolf, Vanessa Bell, Roger Fry, Duncan Grant and others are known for their joint creations in a variety of projects. Members Leonard and Virginia Woolf started the Hogarth Press in 1917 on the dining room table of their house. Several artists in the group created book covers and book jackets as well as interior illustrations for the books the press published. As with William Morris and his family and friends, working jointly on projects and meeting with other artists and writers seems to have provided valuable inspiration, challenge, encouragement and probably networking possibilities. I‘ve found that true with my own very creative family and with my wonderful SCBWI illustrators ‘schmooze’ group. Writing and illustration are, by nature, solitary pursuits—not necessarily a bad thing—but there can certainly be an appeal to being able to share both the excitement and the problems present in an artistic endeavor. Writing for publication—even without a writing or illustrator partner—is usually a social experience involving the suggestions, comments and opinions of family, friends, agents, editors and illustrators. 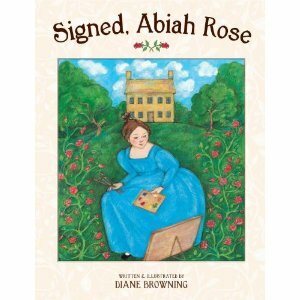 After writing the first draft of Signed Abiah Rose my sister was my first “editor”, as well as various other writers, a famous agent and at least one editor who critiqued it at a conference. 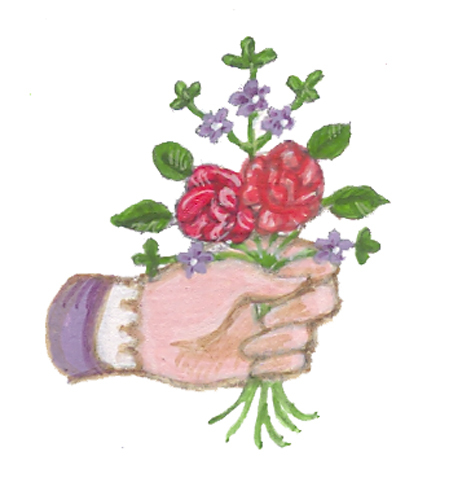 They all liked it, which was very encouraging, and when the manuscript won an SCBWI Writer’s Day picture book contest I was very much encouraged! When it sold to Tricycle Press my editor, Abigail Samoun, made just the right suggestions and by asking some great questions she helped me re-think certain sentences and ideas. An excellent editor and just the right one for me. Wearing my illustrator hat I came up with ideas to enhance the story by visual collaboration with my writer self. I was able to thank my sister and my editor in my published picture book which was too small an expression of my appreciation of their contributions in bringing Abiah into published “life”. I believe editors’ and agents’ contributions should always be acknowledged by at least mentioning their names in the books on which they have been involved. At present I’m happily editing a manuscript with my former editor (now my agent! 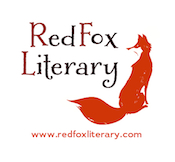 At Red Fox Literary). We were working on it before Tricycle was closed. Previously it had been critiqued by others – my sister, of course, and a good friend who is an excellent writer. Suggestions were made. One editor who critiqued it at a conference was very interested in it which was very encouraging. It won a Writer’s Day picture book contest which was also encouraging. Though we write the work ourselves, the road to publication is often lined with wise advice and kind and helpful words. My next post will be on writers and artists whose work is – from the beginning – collaborative. They work together as a team, believing they can inspire and enhance each other’s work and create something better together than they would separately.